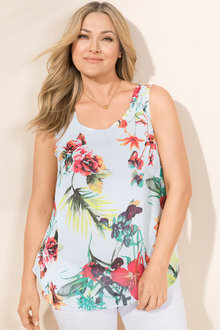 Whether you're looking for a light t-shirt, perfect for those casual weekends away, or a glittery top ideal for Friday night drinks, there is sure to be something for you. 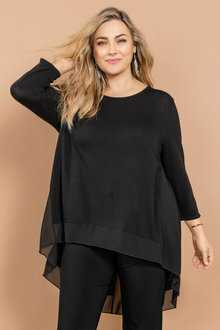 Our collection of plus-size tops are not only made from premium materials, they come in styles and designs that are sure to make heads turn. 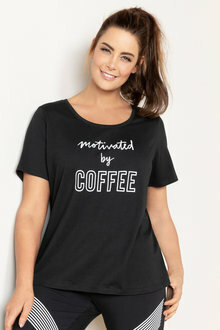 Your top can transform your outfit! 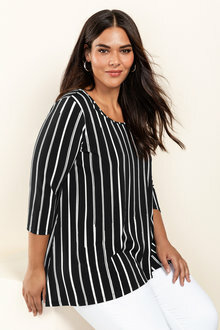 EziBuy stocks a range of casual, cotton T-shirts, professional button-downs and elegant satin tops that look and feel lovely. 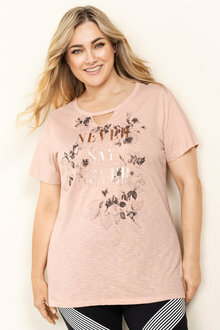 Dress comfortably while still looking stylish by pairing a cool tee with plus-size denim jeans, the perfect outfit for Saturday brunch. Grab your favourite pair of heels, a cute skirt and a gorgeous top for the perfect outfit for a night on the town! For the enviable beach look, a bohemian skirt will look beautiful with a peasant top and a nice pair of sandals. 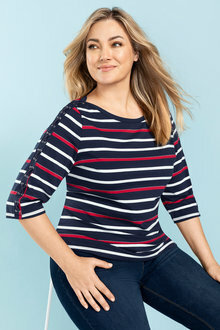 Our collection of plus size tops are versatile, and come in myriad colours, prints and designs. 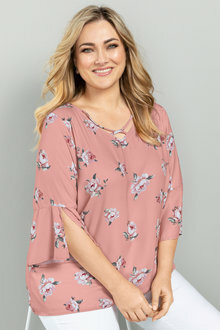 Browse our plus size clothing to find the perfect pants, skirts and shoes to wear with your new favourite top!